Miter saw stands are expensive but they are a necessary addition to any workshop. 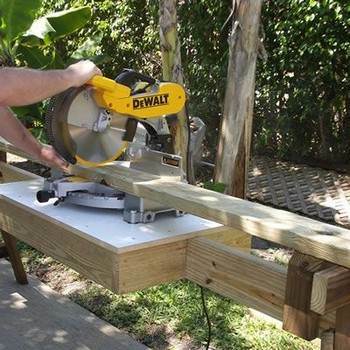 So make your own with one of these miter saw bench plans. You can also customize one of these plans so your bench, table or stand will be exactly what you have been needing. Add cubbyholes or a drawer to hold small items. Then mount your miter saw on your new stand and get to cutting. 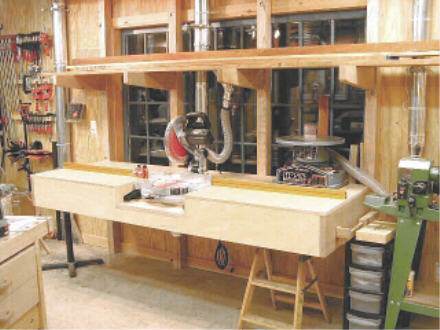 Here are cutting diagrams and plans for building a dual purpose miter saw station that is portable and helps keep your woodworking shop nice and neat. 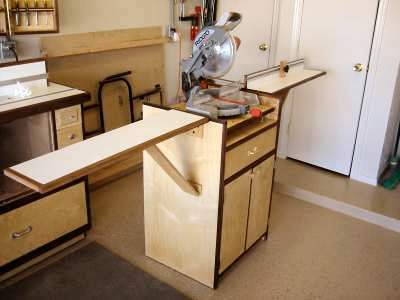 Build a miter saw stand that can be knocked down into 6 parts for transporting from one site to the next using this plan. 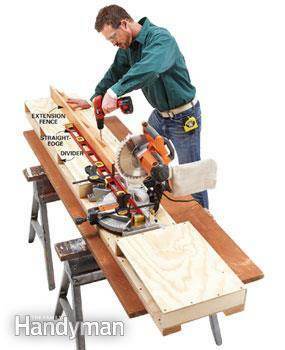 This miter saw table has cantilevered supports and other great features for a seriously strong and sturdy table. 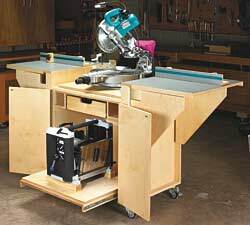 You can save money by building your own portable miter saw table that can be of use in the workshop or where ever it is needed. You can easily and quickly cut lumber on this miter saw table with installed tape measure for the perfect cut every time!